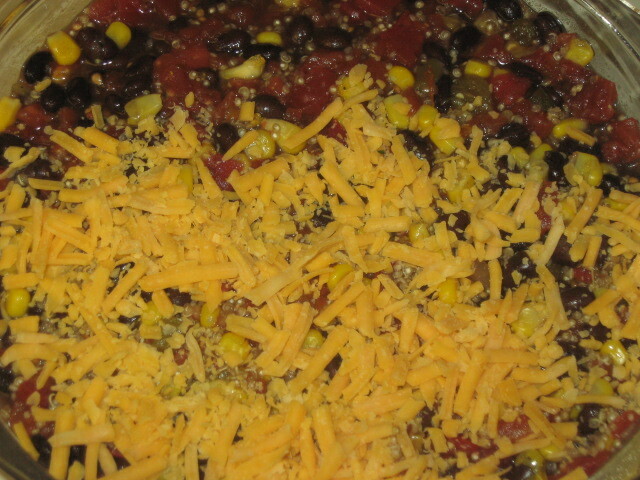 Mexican Quinoa Casserole…Vegan/Vegetarian OR not! I love quinoa! There, I’ve said it. 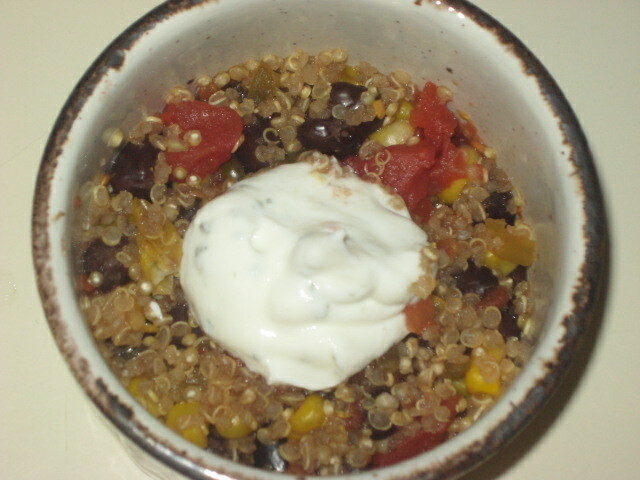 I love quinoa salad and always looking for new ways to cook with this protein-rich, healthy grain. This Mexican Quinoa Casserole is now an honored member of my recipe collection. 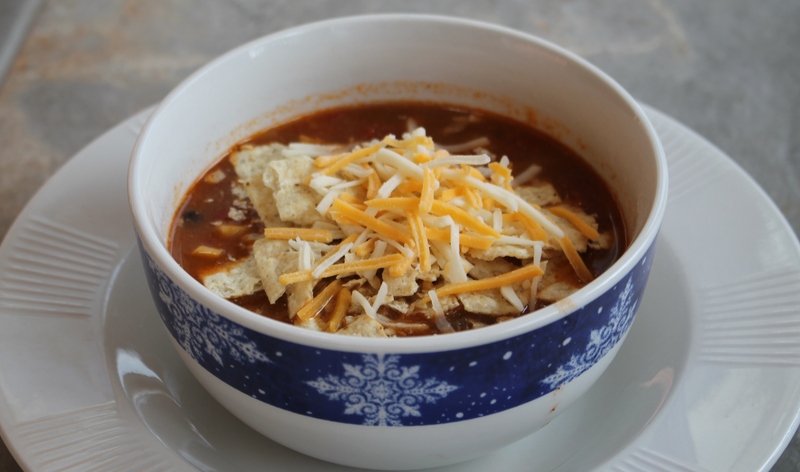 I made the recipe without the ground beef and taco seasoning, enjoying every wonderful bite! If you are vegan, make it without the ground beef and substitute a vegan cheese. If you’re a meat lover, go for the whole enchilada…um, I mean casserole! 2. 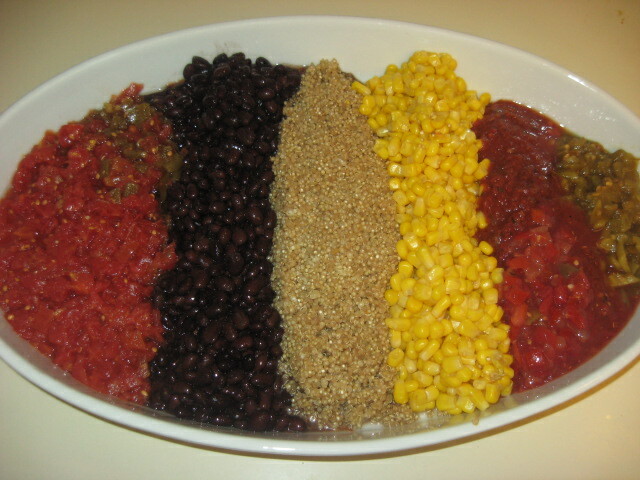 Mix together the tomatoes, black beans, corn, chiles, salsa, broth, and quinoa. Pour into a greased 2 quart baking dish and cover with baking lid or foil. 3. Bake for 30 minutes. Remove and stir and bake another 30 minutes. 4. While the quinoa is baking, brown the ground beef. Add taco seasoning and water. Simmer until water has evaporated. Stir in beef mixture with quinoa mixture. Top with grated cheese and brown under the broiler. 5. Serve with sides of sour cream, fresh cilantro and lime wedges.